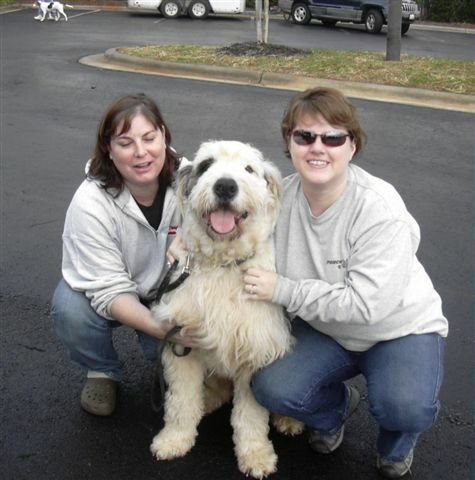 Pat Wurth introduced me to OESs when she adopted Alvin from the New England OES Rescue. Shortly afterwards she located two rescue sheepies for me in Florida, and we drove down there to pick them up. Previous to that, I had rescue dogs when I was in college but after I graduated and joined the workforce I didn’t think I had time to properly care for a dog. After OESs Jasmine and Tango came into my life I still didn’t think I had time to give them all the attention they deserved, and I felt guilty every morning when I would lock them inside the house and leave them for eight to nine hours. However, I came to realize that they were better off there then they would have been had I not adopted them and the wonderful disposition of the breed and their enthusiasm for life won me over completely. Jasmine and Tango died a few years ago, and I still miss them and think of them often. Then Pookie, the Aussie mix in the picture, picked me up in a restaurant parking lot and made me adopt her. Later, I was fostering Gracie for the South East OES Rescue and ended up keeping her. Over the years since I adopted Jasmine and Tango, I have fostered about half a dozen sheepies, mostly at times when it seemed to be raining sheepdogs and the rescue was overwhelmed. I have been officially involved with rescue for only a short period. In March I began fostering for Pointer Rescue (PRO) a very sweet and shy English Pointer who I picked up from a kill shelter in Johnson City, TN. His brother was there as well and was transported north to a safe place the same day. During my initial months of fostering I began helping with adoption screenings and some home visits. I was very active in the adoption process initially than started visiting shelters where the dogs where in danger. I have fostered several puppies on my own and found them safe homes and also fostered for Tarheel Weimeraner Rescue and help with transports and pulls from kill shelters when needed. I also volunteer at the York Animal Control in South Carolina to help socialize the dogs they have up for adoption and also just to give them some love and attention. Granted it is not as easy doing that knowing that several of the dogs I interact with will never find loving homes and be euthanized but in some way with my giving them the attention I hope that atleast they know they are loved by me if never shown to them by anyone else. My main goal is to help as many animals in need that I am able to find there way to safe loving homes be that by going into a foster home first or getting adopted directly from the shelter. I have assisted other rescue groups as well with transports and home visits......so I would say I am an All Breed Volunteer:) Was happy to be able to have helped Spanky find his way to your rescue as well as he is an extremely sweet and loving boy! Hi! My name is Robin Burke. I learned about TOES Rescue through my daughter, Christina Rowe, and her husband, Eddie. They had adopted Emma and told me about an available dog that Belinda Lamm was fostering who was in much need of a good home. I met Belinda at Bark in the Park 2007 where she told me all about Luka. She said he had a noble beauty and a way of making you fall in love with him at first sight. She was not kidding! The minute I saw him I knew that he was the dog for me. Now, Luka is no ordinary dog; he is an OES/Great Pyrenees mix. As TOES specializes in OES rescue, I am so grateful that they opened up their hearts to Luka, who has become the light of my life and has made a wonderful brother to my other dog, Charlie. After such a good experience with TOES, I knew that I wanted to be part of this loving group of people and help out in any way that I can. 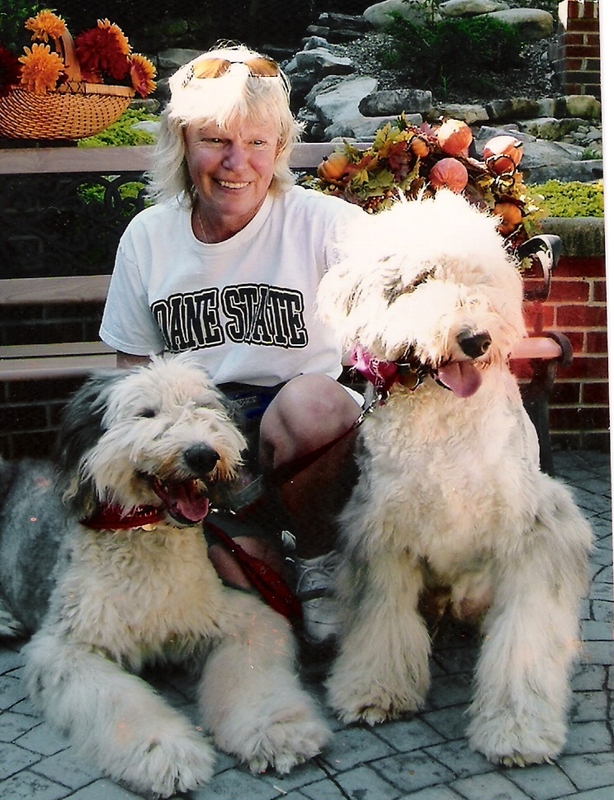 When Sue found out there was a group regionally that rescued Old English Sheepdogs she immediately volunteered to help in any way she could. Sue was set to foster several needy dogs but each time, they were placed so quickly that she didn't have that chance. Sue finally had her opportunity to foster and is ready to do it again! Sue states that she loves her own two girls, Ruthie and Molly so much she wants to contribute to having other OE's needing help to find a loving home. Thanks to Sue for her help! And to Ruthie and Molly for being such good 'mentors'! My name is Jeff Golightly. My son brought Stella home from a back yard breeder in May 1998, and our house has not been the same since. We bought Max in January 1999 and until Max passed away on August 5th of 2009 our house was full of energy and love that only a couple of OES can give. Max's full name was Maxwell Silver Hammer - after a song on the Beatles album Abbey Road. 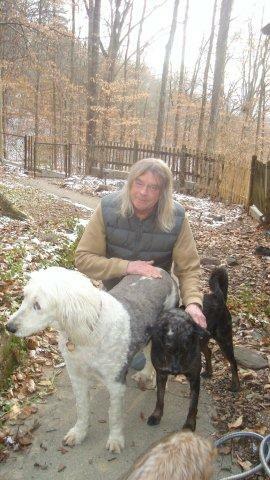 I am a 55 year old songwriter and musician here in Memphis and a major Beatle freak and was well aware of Paul McCartney's love of the breed. We bought Max with the intentions of breeding but after doing research, we realized what a mistake that would be after seeing how many of these magnificent creatures wind up homeless. I made myself available to rescue as a transporter and home inspector. I've only been involved with TOES for a short while but have already had the opportunity to foster an abandoned dog. It was a gratifying experience for our family and our other dogs (OES and Italian Greyhound). The transformation that took place in the rescue after she came into a loving home was amazing. Each day she was friendlier and soon lost that apathic look and became more interactive and playful. 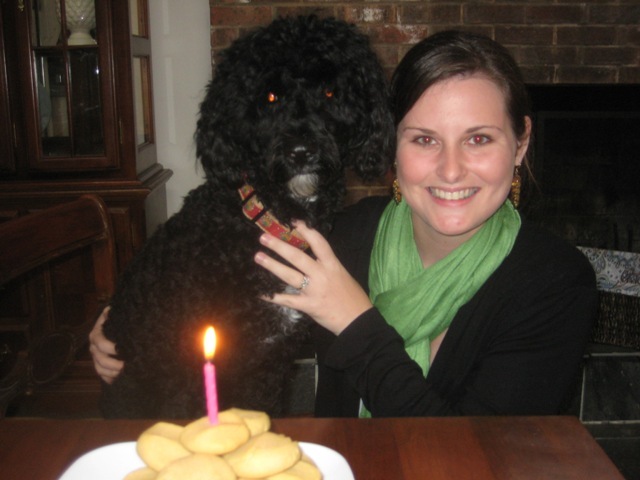 When she was adopted I was proud of the OES she had become after being with us. TOES is a well-established and organized group and I look forward to more experiences with them. 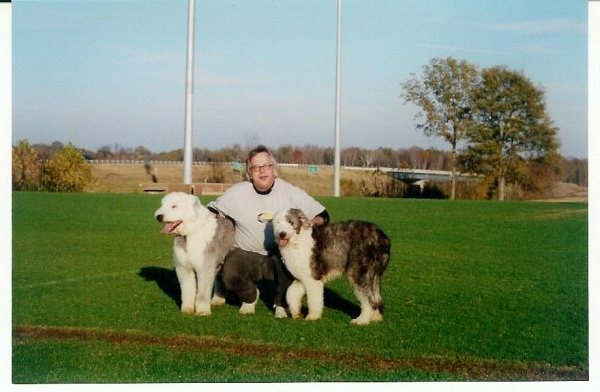 Got my first Old English sheepdog about 30 years ago. Had always been fascinated by bears as a child... then...one day... 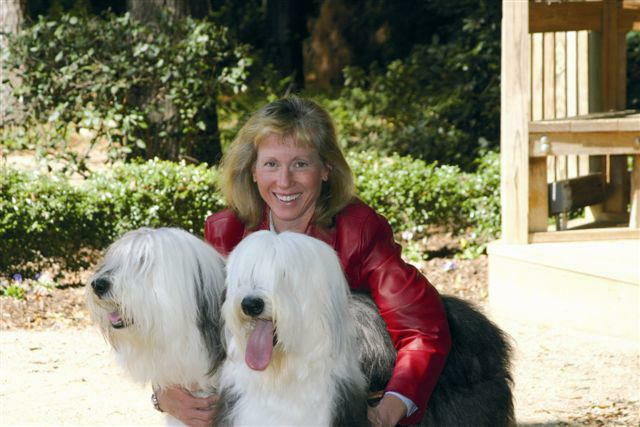 I saw my first Old English Sheepdog puppy... a defining moment in my life! I searched long and hard until I found a puppy in South Carolina. Was a male named Henry...he had me at 'hello'!!! From that point on, I knew that I would always want a sheepie in my life. 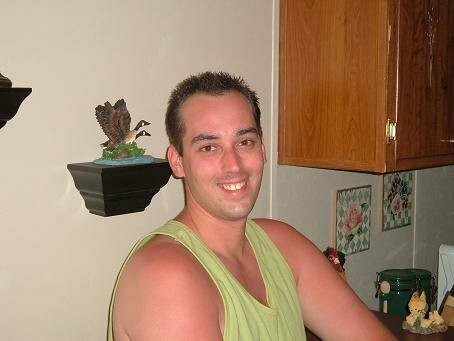 Henry lived 11 years...broke my heart when he disappeared one day and died...never to be seen again. Terrible. Was busy raising my son for many years and as he entered high school, I decided to get my 2nd Old English because I knew I had to begin backing off and 'letting go' of my dear son and was in need of a serious distraction. And we ALL know , as sheepie owners, that sheepie puppies are one Big distraction... in the best sense of the words. Have helped with rescue in the Charlotte region, picnics, recent Bark-In-The-Park in Charlotte. Have become buddies with Belinda and Pete. I have learned so much from them.....called them for 'motherly advice', health care scares, etc. They are truly the salt of the earth! 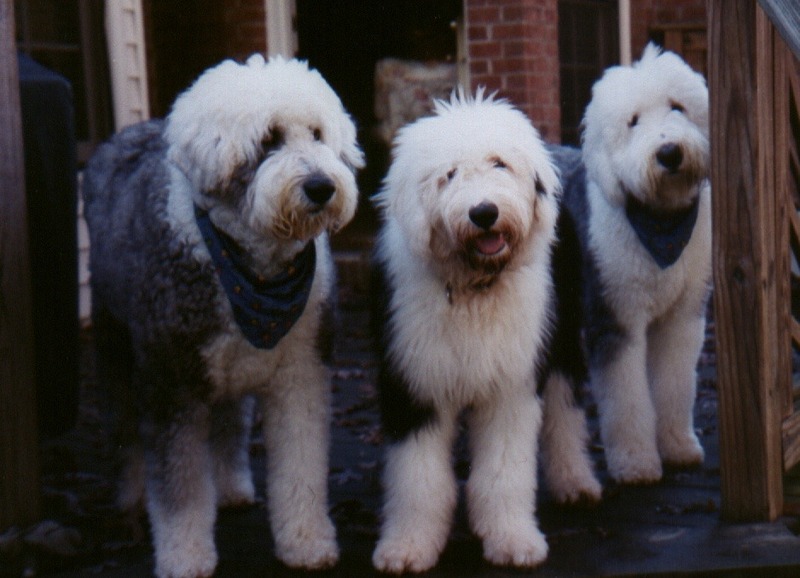 And, like me, they 'collect' Old English Sheepdogs! I swear these dogs are addictive! Oh and by-the-way, Belinda and Pete win the prize for the biggest collection! Har-har. Ever since I was a little girl I have always loved animals, especially dogs. They are like a newborn baby- innocent. All they want to do is be loved and they love you unconditionally. I wish I could save all of them but I know that is un-realistic. I would love for all of them to be saved or rescued. I help with Tarheel OES Rescue because of the love I have for the dogs. All of my dogs are my friends, companions and they make me laugh everyday. I thank God for them each day. Each one has their own unique personality and I believe every dog deserves a chance. I am so happy to have joined the TOES group very recently. 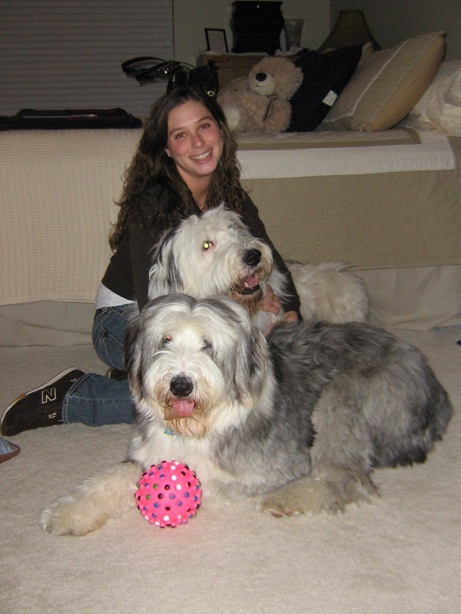 Fall, 2008 had become a transitional time for me - new job, new home - and I had for years been hoping to be in the right position to be able to welcome a sheepdog companion into my world after a long time researching the breed and searching for a rescue near me. September, 2008 I sent out my application to TOES and met Belinda. Through various emails over the next two and a half months, we embarked on the journey which lead me to drive down to North Carolina to meet Gertie! It only took about 2.5 seconds to realize I had just been rescued by those sheepdog eyes and the cutest, furry ball of canine energy ever to be created!! I also got to meet Belinda and it was apparent then that we shared a lot of passion for these animals. I have been blessed with Gertie coming into my life and hope that others can experience the joy and energy these dogs will give their people-owners! I am always laughing when I am with Gertie; her love for life is contagious and quite admirable! I had no idea that waking up, or going outside, or getting food, or getting a pat on the head, or especially riding around in the car could be so EXCITING!! You just never know how much more fun the little things are when you're with a sheepie! I am a counselor by trade, actually, I am an art therapist working in the addictions field. In my life, work, and as a new sheepdog owner, I have found that good mental health is often fostered by developing a good deal of self-awareness, patience, having humility, breathing, breathing fresh air, and mastering a good sense of humor to be used heartily whenever possible! Living in southeastern Virginia has presented an opportunity for me to be an advocate for sheepdog placement in this area. I am thrilled to be volunteering for TOES in any way that I can and hope to meet more sheepdog enthusiasts! Hi. My name is Susan Medlin. Anyone who knows me well will tell you that I am just a big sucker for about anything with four legs. 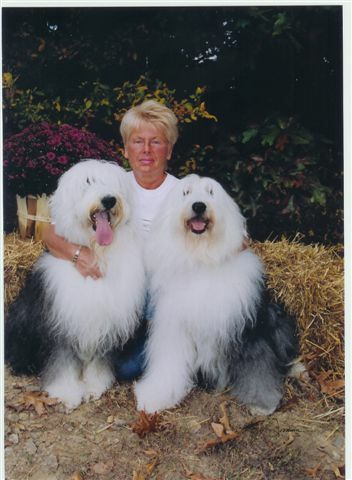 But I must confess, Old English Sheepdogs are my favorite. I spent most of the past decade with "Big Dog Bentley" by my side. Our story is on this website under the memorial section if you care to know more about our life together. After his death, I could not believe how much I missed him. It turns out that great pain is the price we pay for great love. 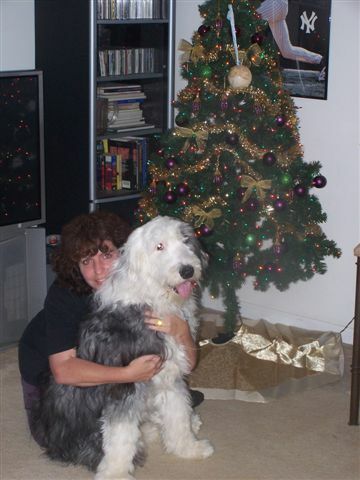 So to heal that void in my life I contacted the Tarheel Old English Sheepdog Rescue Organization. I could tell that Belinda was extraordinary from the start. She and the others associated with this group are some of the finest people you could know. And I am honored to assist them in the mission to help rescue, save and protect sheepdogs. I've been an animal lover my entire life and have always adopted or rescued from shelters. Until a couple of years ago I never realized how many animals are put to sleep every day. That's when I became involved with some local rescue groups and fostered a baby sheepie named Lucy. After several adoptions fell through was determined to try to find her the best home possible. That's when I first learned of TOES and contacted Belinda. 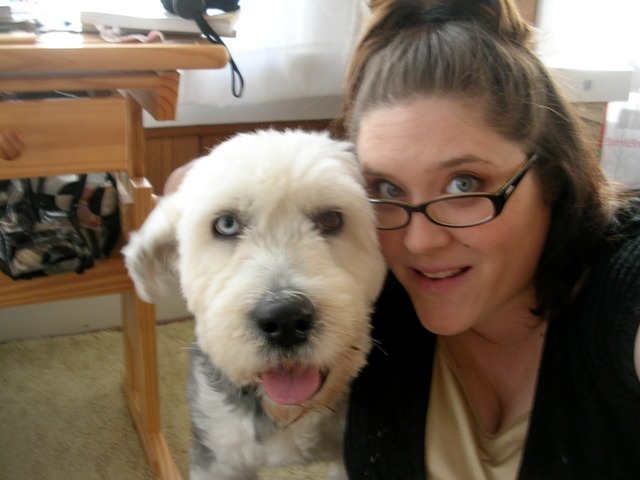 Lucy did go on to find a great home but I fell in love with her personality and the OES breed. Belinda andI continued to stay in touch via email until I had the opportunity to transport for TOES, bringing the horse (LOL) now known as 'Jethro' to Belinda. I receive emails on a daily basis from area shelters and have found sheepies on a couple of occasions that were able to be saved by TOES and other rescue groups. I don't have a sheepie now but I assure you there's one in my future. I have 2 dogs Mason and Dixon and 4 cats Abby, Gracie, Calhoun and Buzzanne. In addition to helping TOES, I also help quite a few shelters here in SC and the Humane Society of Anderson as well as working fundraisers in the area! Hello, I'm Christina Rowe. I love all animals, but my favorites are dogs and horses. I grew up with mixed breed dogs that were always obtained from the SPCA. 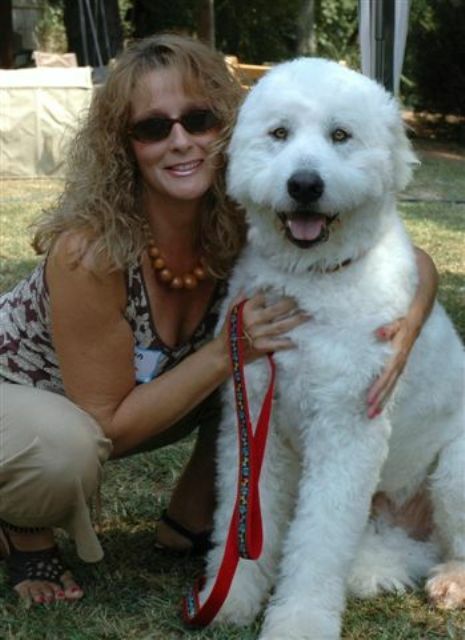 When I decided that it was time for my husband and I to get our first dog as a couple, we started researching breeds and decided that an Old English Sheepdog would be a perfect fit. I wanted to carry on my tradition of adopting animals in need, so OES Rescue seemed to be the perfect route. Our first OES, Emma, is a TOES Rescue dog. She is an absolute gem and we had a wonderful experience working with the rescue group. Now I volunteer with TOES Rescue to so that I can share in their wonderful work and help needy OESs. I have always loved animals and thought a home wasn't a home without a furry critter. On moving to South Carolina I became aware of the huge pet overpopulation problem we have. I met a few people involved with rescues and the humane societies and began helping with fundraisers. I also heard about transports and from the first one I was hooked! I love the idea of driving an animal from an area where it has no chance of survival to another part of the country where it can be adopted into a loving home! I volunteer with the rescues in hope that one day there will be no unwanted, abused or neglected animals in this world. I had the opportunity to help April with 'Jethro' on his transport to NC recently and am looking forward to seeing him again and to being able to help in the future. I joined Tarheel OES Rescue by happenstance. Another volunteer mentioned to me that there was an OES at a shelter that the rescue didn't have room to foster. I volunteered my home, but it wasn't needed as the dog was quickly adopted! Right now, I 'kidnap' fosters from time to time and bring them to my home for mini-vacations. I have an 11 yr old American Bulldog, Dalton, and a 1 yr old Portuguese Water Dog, Sailor, but my childhood dog was Winston, an OES who has forever left a soft spot in my heart for the breed. I have had OES for about 30 years now and they are my passion. There have been 7 OES in my life plus 2 senior rescue sheepies that I adopted since the owner couldn't keep them anymore. Currently I have Sara Catherine (13), a rescue and Marlowe (4), an owner surrender. I've been involved with animals, mostly dogs most of my life. I worked with our local Humane Society, have done some agility with one of my sheepies and have been doing Pet Therapy with 3 of my OES for the last 6 years. I have been working at an Animal Hospital for 16 years. 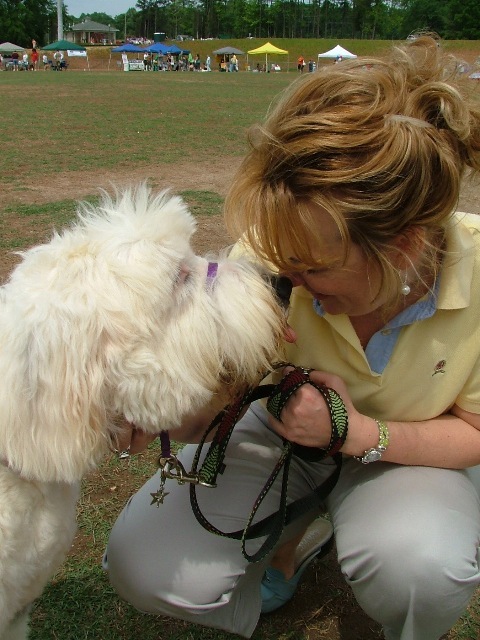 I do most of my own grooming and work with my dogs on obedience. All my dogs have their CGC and are Delta certified. I founded the South East OES rescue where I was placement director for about 6 years. I want to continue to help all those needy sheepies out there to find good homes and loving owners. 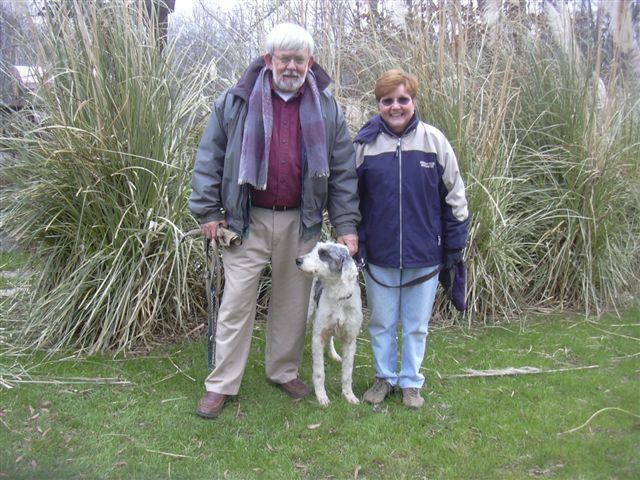 Betty and Bob Tumey have been friends of Tarheel OES Rescue for several years. It began when daughter, Darcie, a friend of mine, suggested that her parents who owned OES's, would be interested in another. I made a home visit to meet Betty, Bob AND Darcie and the rest is history. Betty had even baked home-made chocolate chip cookies for me and I'll never forget that. Betty and Bob went on to adopt Milo and Marley, both male OES's. Daughter Darcie, has adopted Merlin, another male OES. All have given these rescue dogs wonderful homes. Unfortunately, Marley passed away last year (see memorial on website). His leavetaking opened up a 'room at the inn' however and Betty and Bob stepped in to begin helping with fostering. This couple of animal lovers are professional about giving each dog what they need and about seeing the shining light from some of the more senior dogs. We hope they continue to be involved with our group for a long time to come. I had a sheepie when my kids were growing up and he was the best dog. After going back to college and moving around for career stuff, I bought a house with a yard and could finally have one of these wonderful companions again. I adopted Alvin from NEOESR, and shortly after was contacted by OESRNSE about Cotton, who of course, I adopted also. Alvin has passed to the rainbow bridge now, and I have my girl, McKenzie. I guess it was appreciation for the ones who helped bring Alvin and Cotton into my life that caused me to get involved in rescue. I wanted to give back and help other OES in need. I have pulled, fostered, and transported so many at this point that I have lost count. Not such an easy task sometime, as one gets attached. However, very rewarding when I save one and he/she gets a wonderful home!